I didn't like the couple of references to tie ins to characters from the Scumble River series. It reminds me of that cheesy thing that network shows do with "cross over" episodes where characters from different shows interact. I hope that doesn't become a regular occurrence. I would like the series to stand on it's own and not be the author's inability to leave another series behind. Would you be willing to try another book from Denise Swanson? Why or why not? I really enjoyed the Scumble River series so I picked up this one. It has a lot of similarity in key traits and layouts of the characters. I hope the familiarity doesn't become so transparent that it feels like a re-write of that series, but it needs more books to tell. The narrator's voice was good over all. Clear distinction in voices of characters, but oddly, the main character's voice was the least believable and a bit stilted by over annunciation of the dialogue. I'm hoping this smooths as she reads future books. Overall a good start to a cozy series. 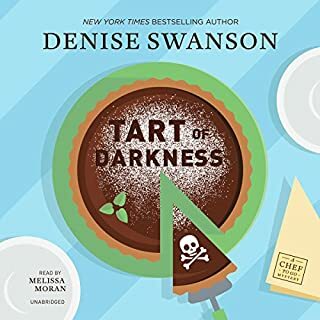 I like how Denise Swanson really develops the characters and provide good detail in her story telling. Would you try another book from J.A. Jance and/or Tim Jerome? 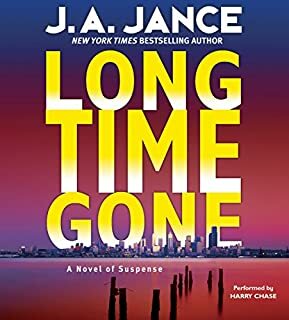 I really enjoy the Beaumont series from JA Jance. It's always disappointing to hear a change in narrators as I think most of us get used to, or even like, the particular narrator doing a series. But the story itself on this one was really good and a good departure from some of the previous work. What didn’t you like about Tim Jerome’s performance? The voice characterization of two of the support characters, Amy and Ron Peters, had inconsistent voice and accents. Most of the time a Scottish/slightly brogue accent would creep in during the speaking. The inconsistency was annoying as was the brogue since neither character was introduced as having that background. With grit, courage and dogged determination, Joanne challenged the status quo -- and won. 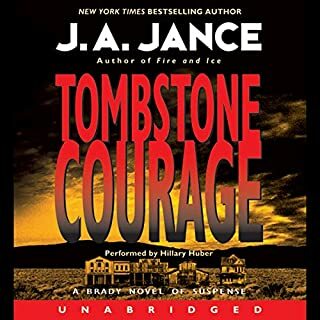 Now, as newly elected Sheriff of Cochise County, Arizona, she must battle the prejudice and hostility of a mistrustful, male-dominated police force -- and solve a grisly double homicide that threatens to tear the sleepy desert community to pieces. The overall story is interesting, but the pace is too slow. I find that the narration overall is fine, except for the voice of the daughter, which is grating on a level of fingernail-against-chalkboard. Every single line that the narrator delivers from the daughter comes out as a whine. It makes me wish the lead character would talk with her daughter about her attitude.